HSD17B1(17-BETA-HYDROXYSTEROID DEHYDROGENASE I),also known as 17-beta-hydroxysteroid dehydrogenase or 17-ketosteroid reductase,is an enzyme that is responsible for the interconversion of estrone (E1) and estradiol (E2) as well as the interconversion of androstenedione and testosterone. Its cytogenetic location is 17q21.2. HSD17B1 gene expression is detected in 34 of 42 (81%) adenomas in all tumor subtypes; HSD17B2 mRNA is detected in 18 of 42 (43%) adenomas but not in prolactinomas. 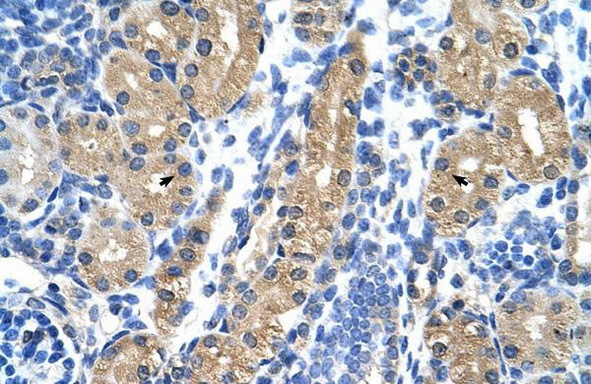 Human estrogenic HSD17B1 is an NADP(H)-preferring enzyme. It possesses 11- and 4-fold higher specificity toward NADP(H) over NAD(H) for oxidation and reduction, respectively, as demonstrated by kinetic studies. 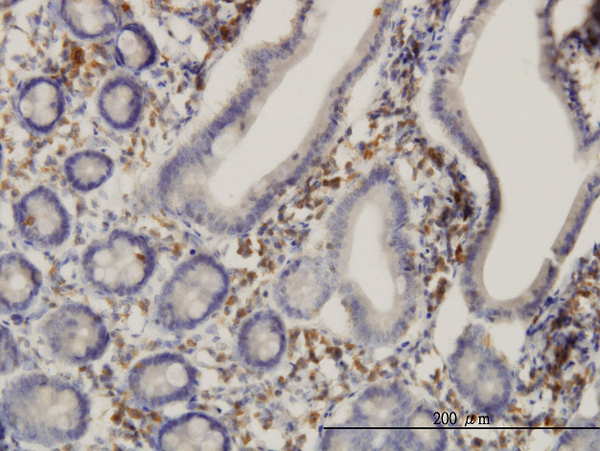 All 4 HSD17B isoforms are variably expressed in human anterior pituitary adenomas, which also show HSD17B enzyme activity, suggesting that HSD17B may play an important role in regulating the local cellular levels of estradiol. 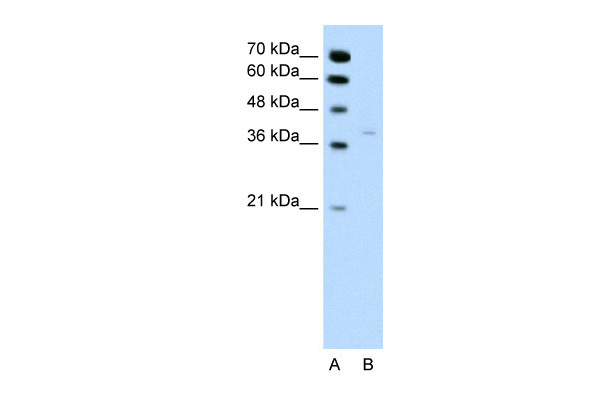 HSD17B1 monoclonal antibody (M03), clone 2E5 Western Blot analysis of HSD17B1 expression in Jurkat ( Cat # L017V1 ). 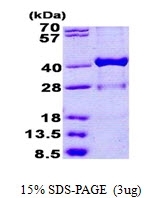 Western blot analysis of HSD17B1 Antibody (C-term) Cat.-No AP52108PU-N in SK-BR-3 cell line lysates (35ug/lane). 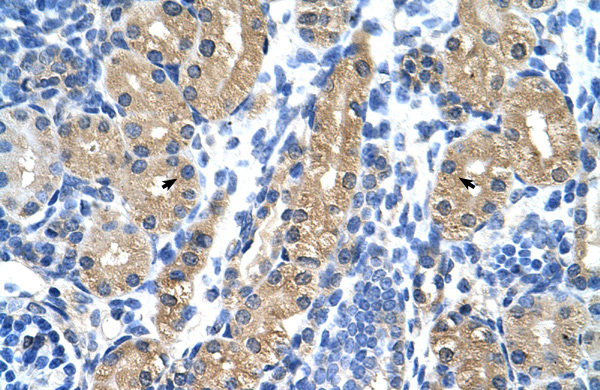 This demonstrates the HSD17B1 antibody detected the HSD17B1 protein (arrow).